Finally I had the opportunity to try out this famous curry house from Japan - CoCo Ichibanya a few weeks ago with a bunch of bloggers. Since I can't eat spicy food at all, I thought I would like to give it a try because I know Japanese curry is not spicy. 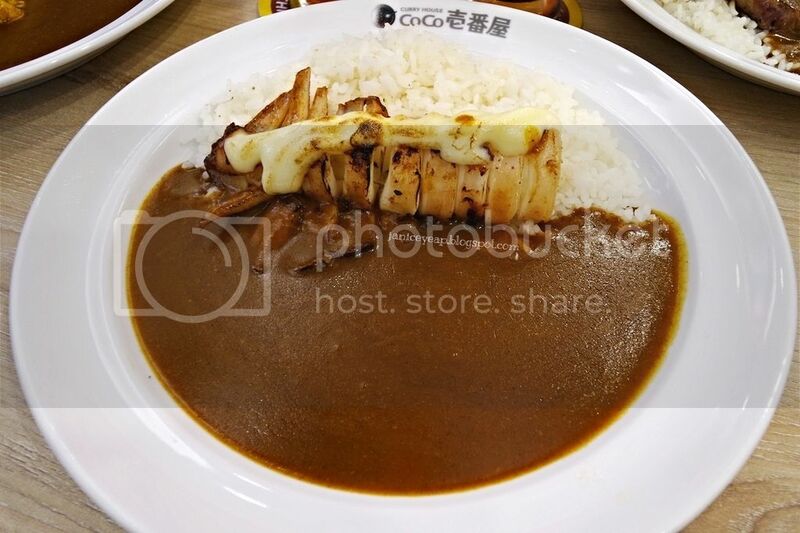 For more than 30 years, CoCo Ichibanya the famous curry house from Japan was well accepted in many countries. 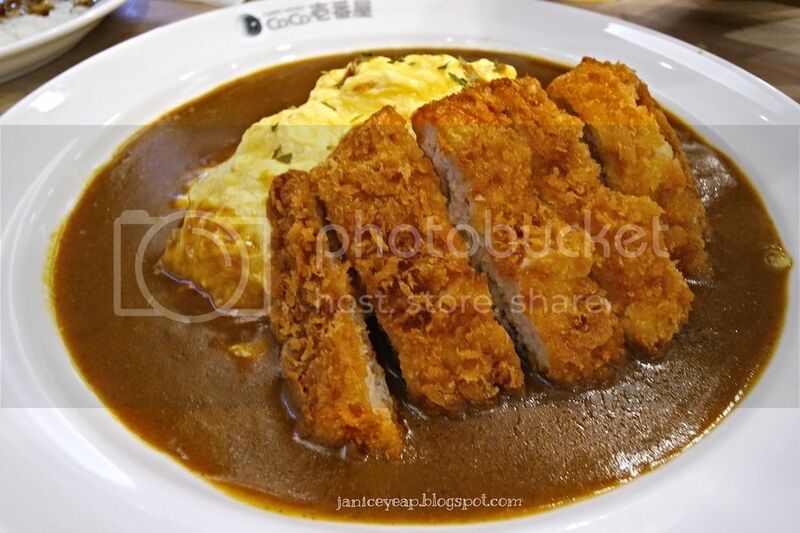 There are 1245 branches in Japan and other countries such as USA, China, Taiwan, South Korea and Thailand which made CoCo Ichibanya reach the number of 1350 branches worldwide and named as "The House of Japanese Curry". That derive from our uniqueness "The Tastiness You Can Choose". 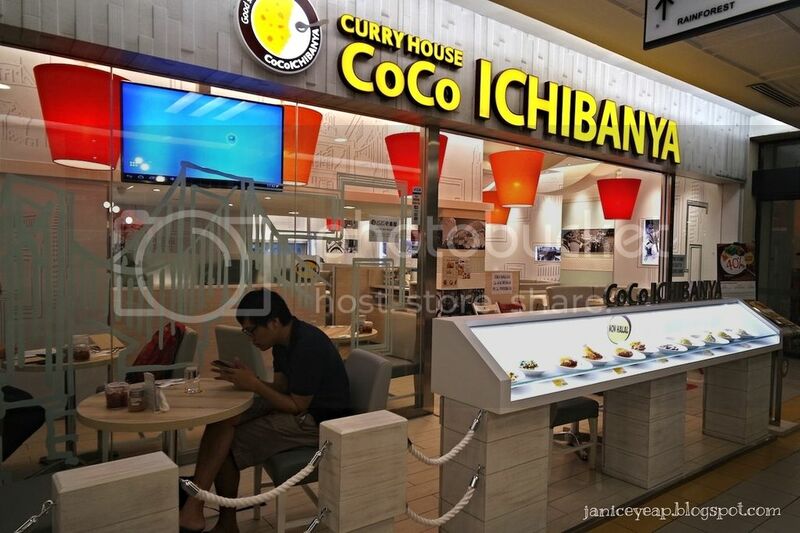 CoCo Ichibanya which is located at Lower Ground Floor, New Wing (opposite Kluang Station) at 1 Utama Shopping Centre features a contemporary, friendly and casual ambiance and seats a number of people. The unique part of this restaurant is that it allows patrons to customise their meal from the curry's level of spiciness and types of toppings to the rice and curry portions. 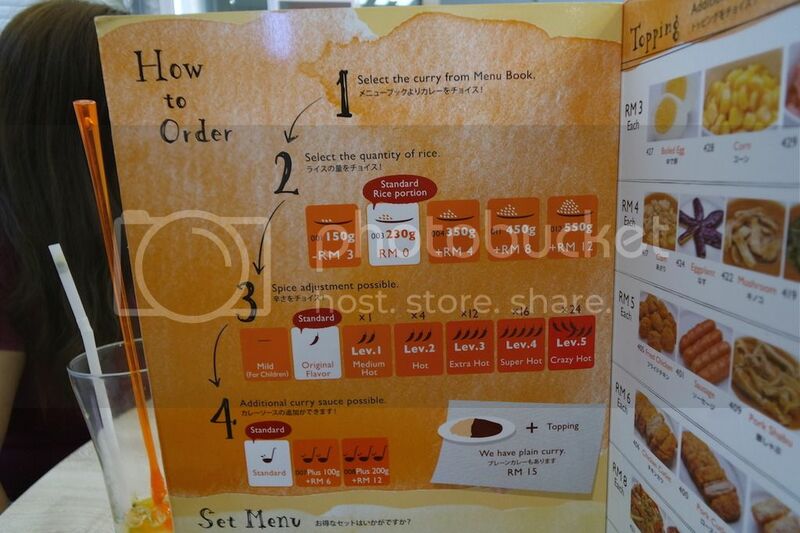 It also offers 5 levels of spiciness for their Japanese curry, from Level 1 (Medium Hot) to Level 5 (Crazy Hot). 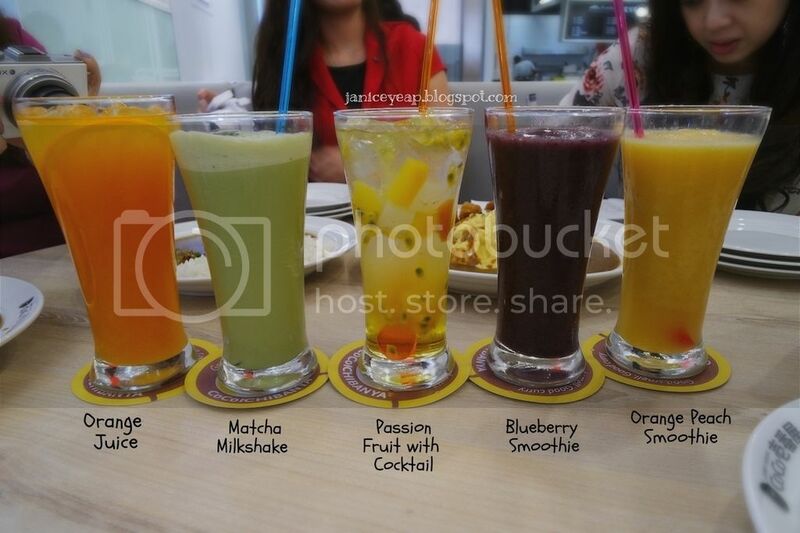 I had the chance to try out some of their signature dishes on that day with the rest of the bloggers. 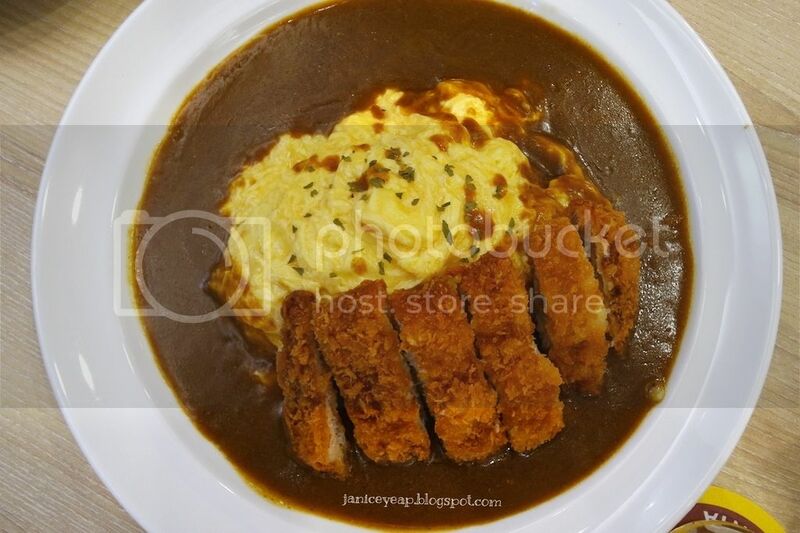 Some of their signature dishes include Pork Cutlet Curry, Lightly Crisped Chicken Curry, Black Pepper Chicken Curry, Grilled Garlic Prawn Curry, Salmon Teriyaki Curry, Salmon Cream Croquette Curry, Seafood Omelette Curry and Grilled Spinach, Bacon and Corn Curry. Some of the food which was served on that night were Beef Yakiniku Curry, Beef Wagyu Steak Curry, Pork Cutlet Omelette Curry, Grilled Squid with Mayonnaise Curry and Cream Mushrom Omelette Curry. 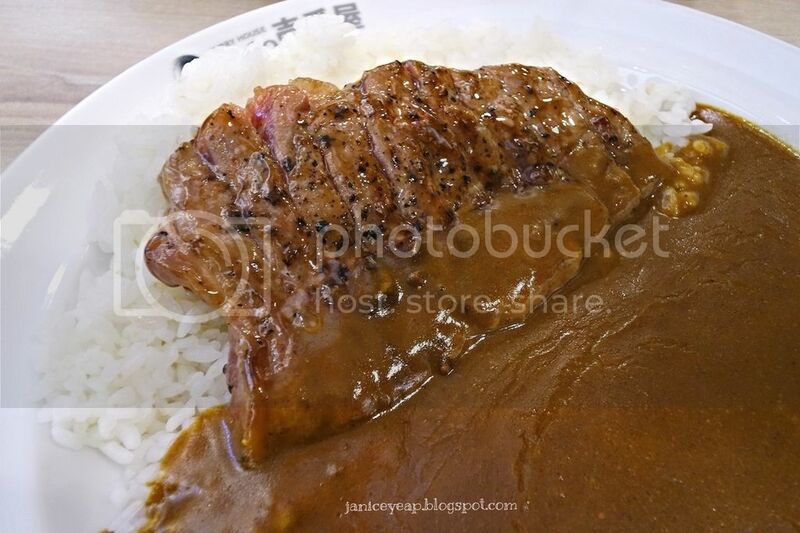 Beef Yakiniku Curry was served with curry of standard level. The standard level of the curry is sweet with strong curry powder. The spiciness level of the curry was acceptable for me. 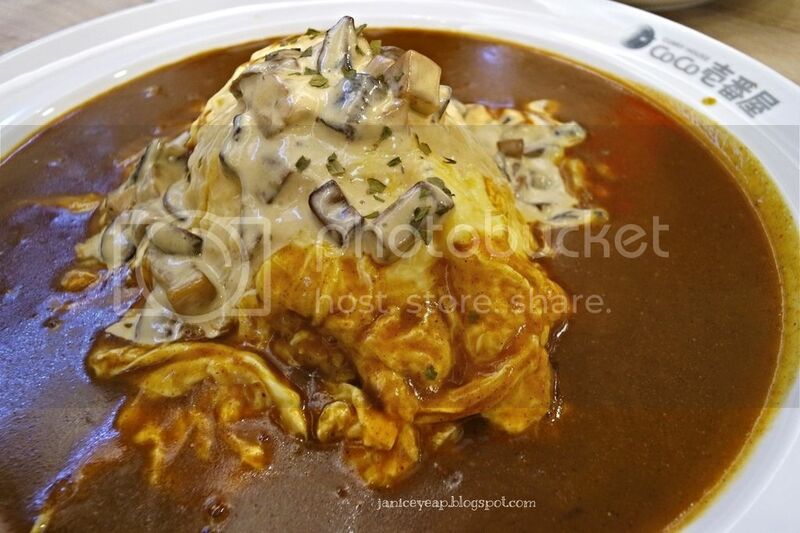 Pork Cutlet Omelette Curry was served with curry of Level 1. I managed to try out this Level 1 curry and it turned out fine for me. The pork cutlet was still crispy and juicy even though it was already cold. 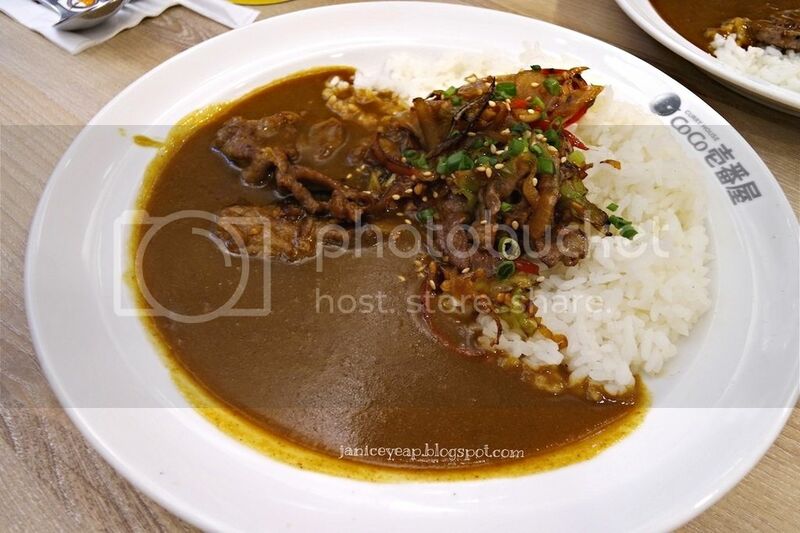 Next up would be Beef Wagyu Steak Curry which was served with curry of Level 2. The spiciness of the curry started to kick in. However I still managed to eat it. On the lighter note, the beef was a bit undercooked for me as I prefer it to be fully cooked. 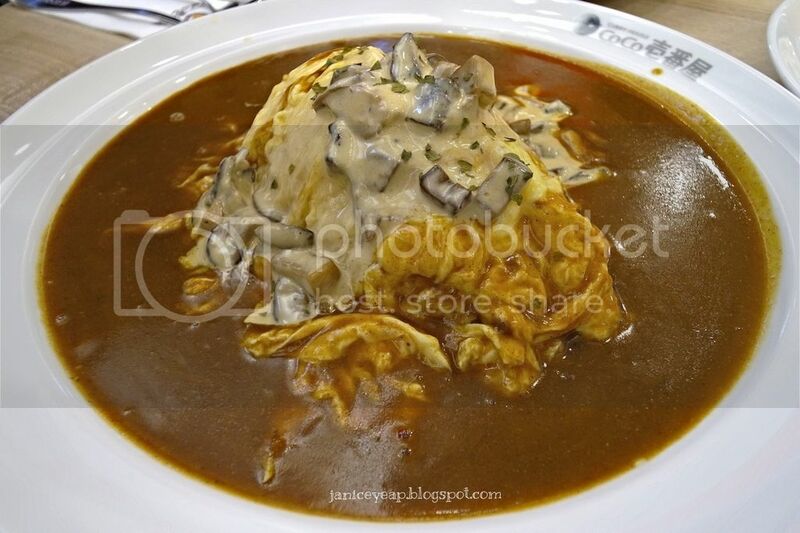 Cream Mushroom Omelette Curry was served with curry of Level 3. I was surprised that cream mushroom actually blends well with the served curry. In fact the taste of the curry is not that strong when you mix well with the cream sauce. Grilled Squid with Mayonnaise Curry was the final dish served on that day. 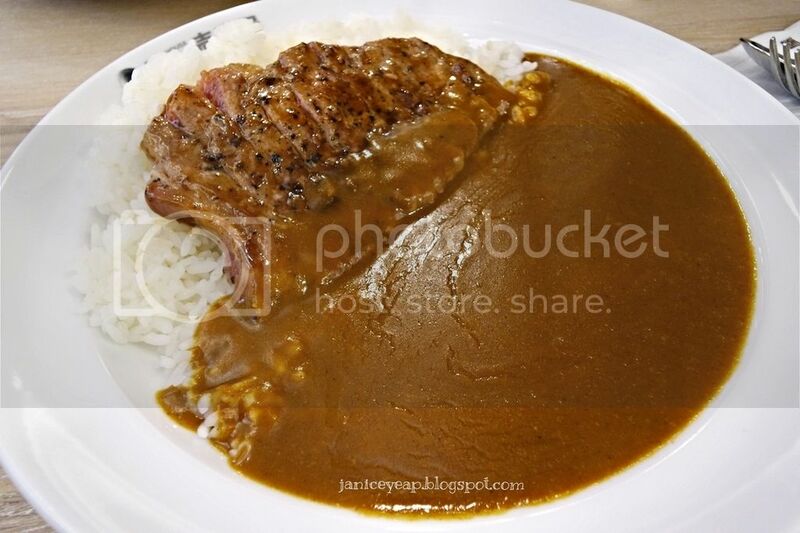 It was served with curry of Level 4. The grilled squid was slightly overcooked but it was still juicy. I tasted the curry and it was too expensive. 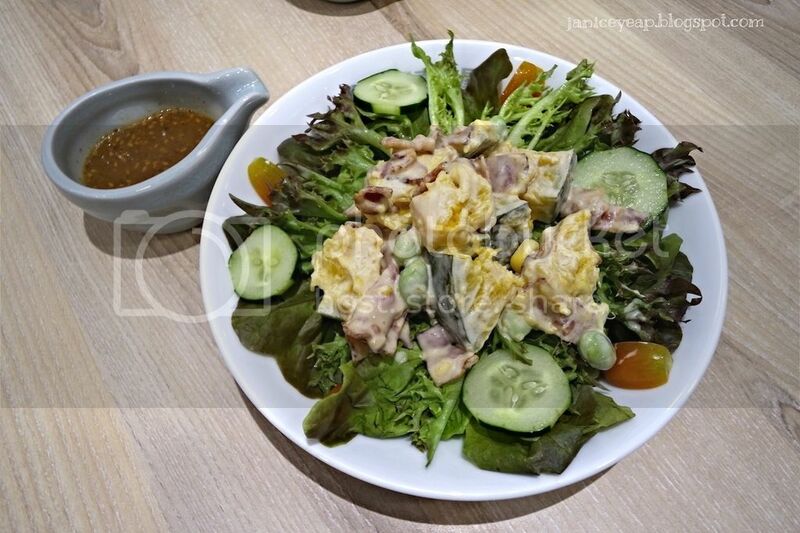 Other than curry, CoCo Ichibanya also serves salads for the patrons to try. 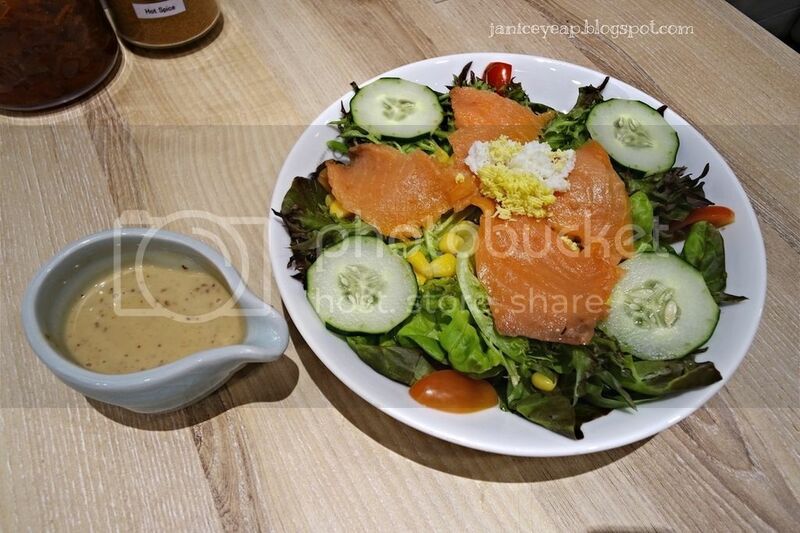 One of my favourite salad would be Smoked Salmon Salad which is highly recommended from the restaurant. The salad was served with their salad dressing which is really good. The salmon was slight too salty and I would prefer if they do not marinate it (they have to marinate it before smoke) before hand because salmon is best served in original flavour! :D The salad is only priced at RM10 and by far this is the cheapest salmon salad that I have ever tried. Mr Lim, the boss of CoCo Ichibanya 1 Utama was so kind and friendly. He also prepared some desserts for us to try. 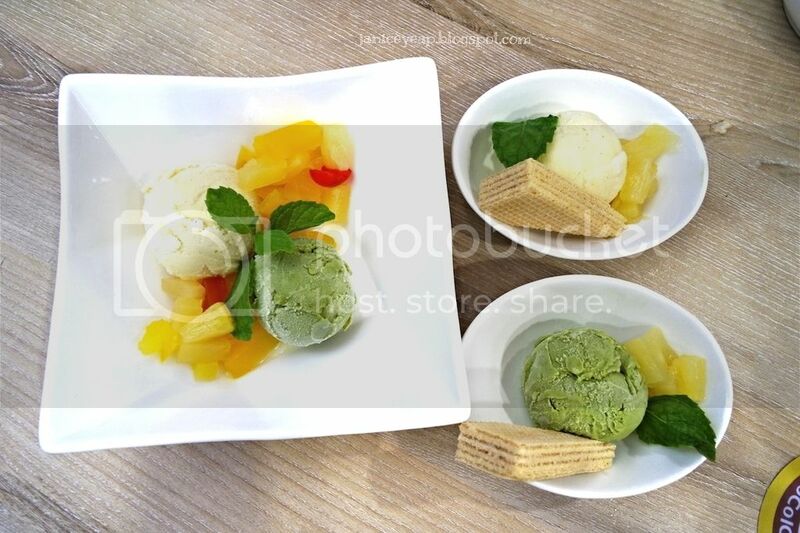 Desserts such Matcha and Vanilla Ice Cream (RM12), Matcha Ice Cream (RM6), and Vanilla Ice Cream (RM6) were served before we called it a day. 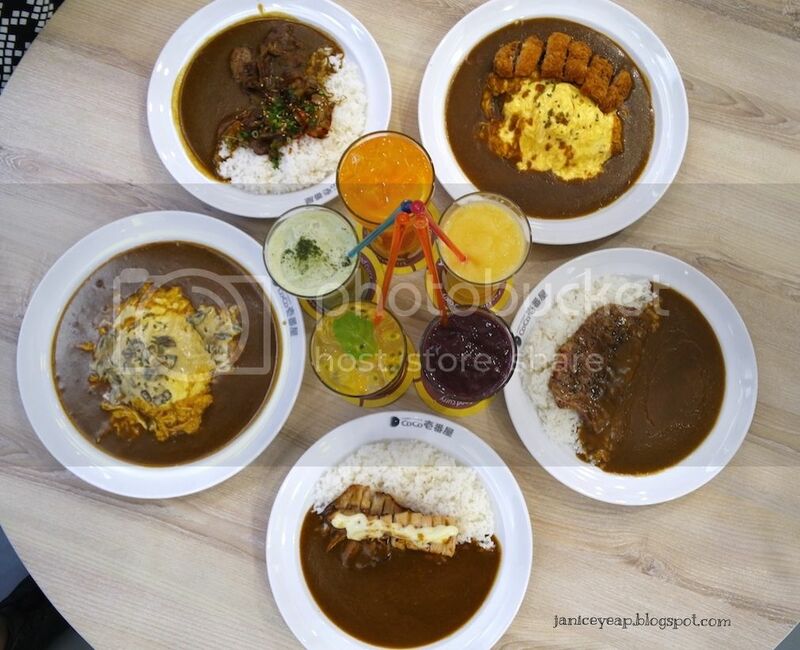 I would suggest to you guys to mix the curry with the rice before you eat it to enjoy more authentic taste of the Japanese curry. I was only able to take up to Level 3 which is Extra Hot. I tasted the curry of Level 5 (Crazy Hot). It was served in a separate plate for those who can take up spicy food. It was spicy a little at first. However, if you leave it on your mouth for too long, you will definitely feel the spiciness of the curry. I can only mix a small portion of curry with a bigger portion of rice to ensure that it's not too spicy for me. Thank you Butterfly Project and CoCo Ichibanya for having us. 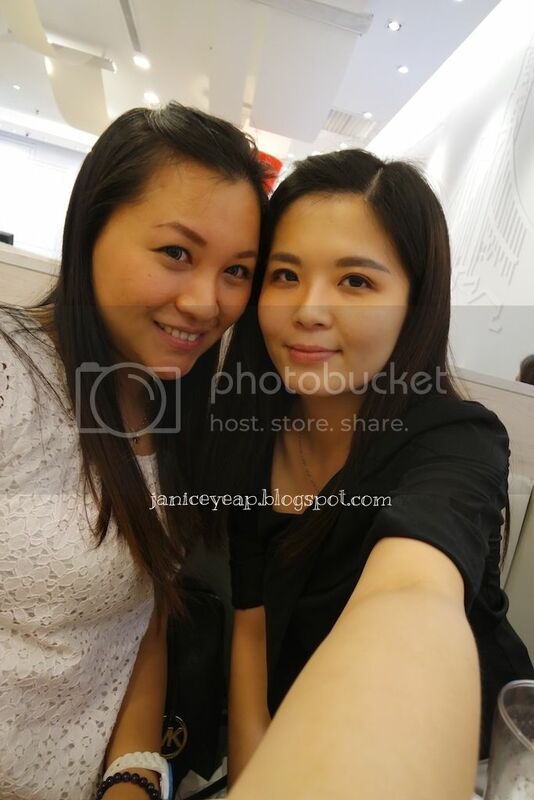 I truly enjoyed the company with a bunch of bloggers. 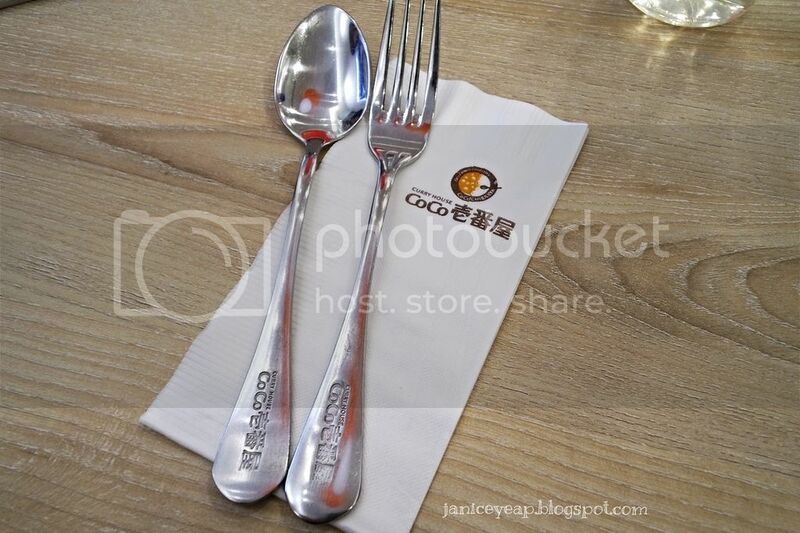 To those who wish to know more about other dishes, please check out their Facebook page here: www.facebook.com/pages/Coco-Ichibanya. 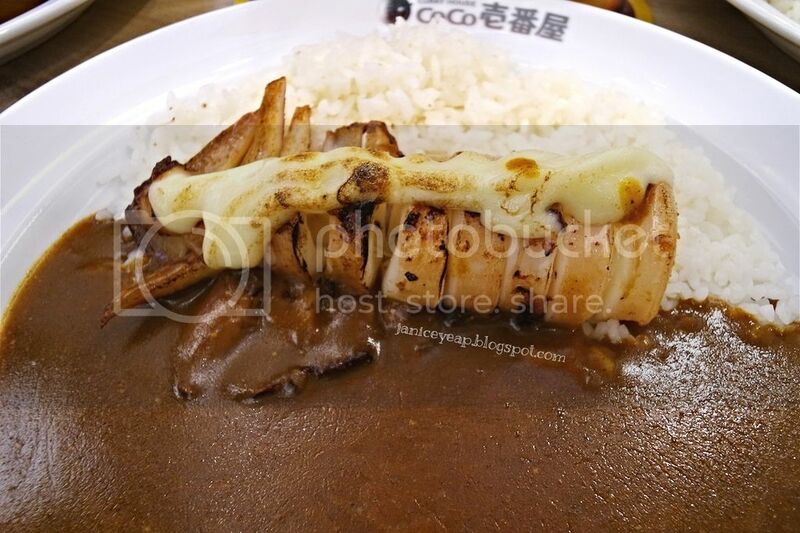 CoCo Ichibanya is located at Lower Ground Floor, New Wing (opposite Kluang Station) at 1 Utama Shopping Centre.